The military operation dubbed Operation Crocodile Smile suffered a major loss on Monday following a boat accident along the Brass Water Front in Brass Local Government Area (LGA) of Bayelsa State, leading to the death of four soldiers by drowning. Also missing are service rifles belonging to the missing soldiers. It was gathered that the incident, which occurred at about 10 a.m. on Monday, created panic among newly deployed soldiers. ‎The State Chairman of the Maritime Union, Lyyod Sese, who confirmed the incident, said the union had received the report on the boat incident, "but [we] don't have details on the number of casualties." Also confirming the incident, an official of Brass Local Government Council, who pleaded anonymity, confirmed the development, calling it a "natural incident." Attempts to get confirmation from the authorities of the Joint Military action known as Operation Delta Safe (ODS) failed, as the Acting Coordinator of the Joint Media Centre, Lt. Cmdr. Thomas Otuji did not answer his calls. Though no authority has confirmed the mission of the soldiers in the area, it is not unconnected to the security operations against renewed militancy, sea piracy and search for those threatening to hoist the Niger Delta Republic flag. An indigene of the community simply identified as Etta said that attempts by community youths and other soldiers to assist in a rescue operation failed as the drowned soldiers could not be found. "In recent times, we have been noticing increased movement of soldiers in our area. The boat that capsized was conveying a new batch of soldiers to the water front. I was going to dispose of refuse at the waterfront and I saw uniformed soldiers struggling to rescue their colleagues in a capsized boat," Etta said. 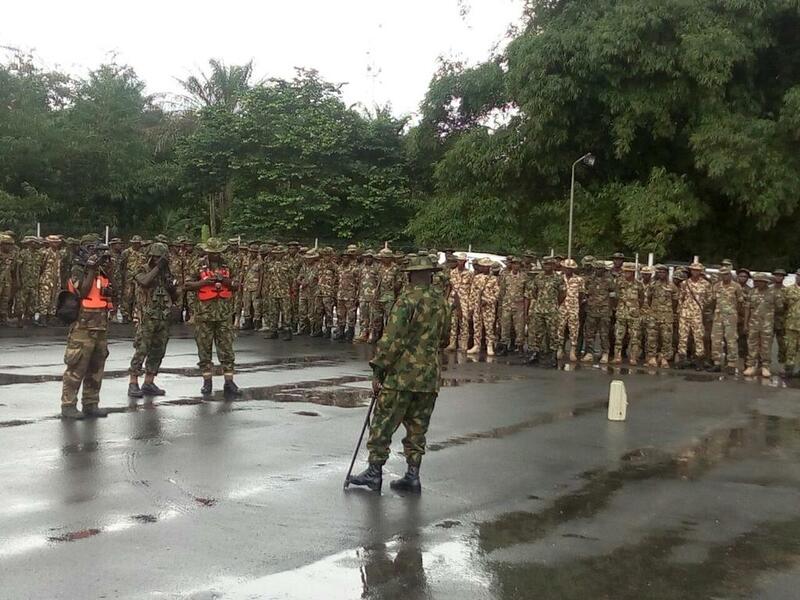 "When the confusion subsided, four soldiers were found to be missing with their rifles and other military gear. Some others that were rescued had their rifles missing and were struggling out of the water." 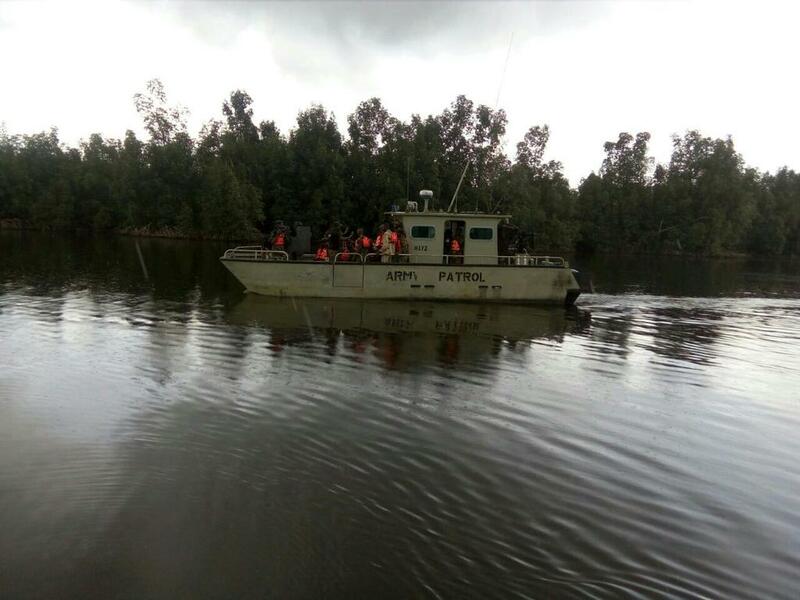 Meanwhile the military authorities have soughed the help of local divers and youths to assist in the search for the missing soldiers. One of the youths confirmed that the high tide of the water is impeding the search for the missing soldiers. Results of the selection examination conducted on the 6th of August 2016 for Course 4 of the Nigerian Police Academy, Wudii, Kano State, has been released. 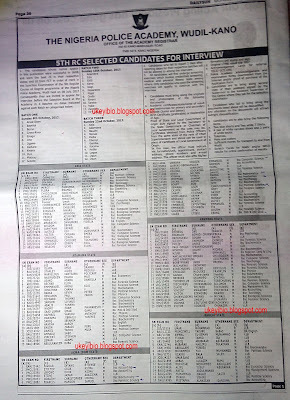 Candidates who applied and sat for the examinations are advised to check Daily Trust Newspaper of September 23rd 2016 to see if they are successful and hence get prepared to face the Selection Board. This was contained in a statement release by The Registrar Mohammed Ghali Usman. 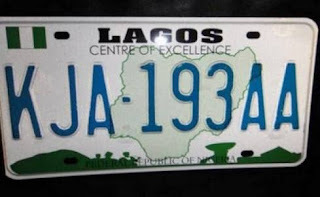 Please check your vehicle number here www.nvisng.org/numberplateverification.aspxA shocking revelation was made that OUT OF EVERY 10 CARS you see on the road with LAGOS and ABUJA number plates, that at least 4 is FAKE.You can check your own now.